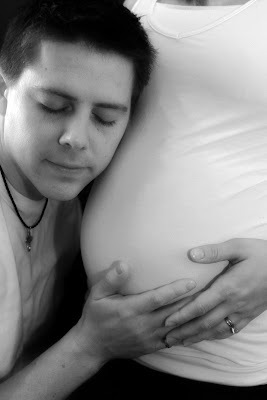 We were fortunate enough to find a photographer that was willing to come to our home to take maternity pictures for us. Katrina was the name of our photographer and her business is called Studio Laguna (http://www.stulagu.com/). She did an amazing job. I was only 28 weeks but given the chain of events that were taking place we didn't want to risk the chance of missing this opportunity. I think by this time they each weiged in just over a pound. I selected a few that are running in a slideshow off to the right of the page. Brett was very involved as you can tell by the Vikings attire. I have the sweetest husband ever!